The Grand Canyon celebrates 100 years since its designation as a national park. She's a junior ranger that's older than the national park itself. 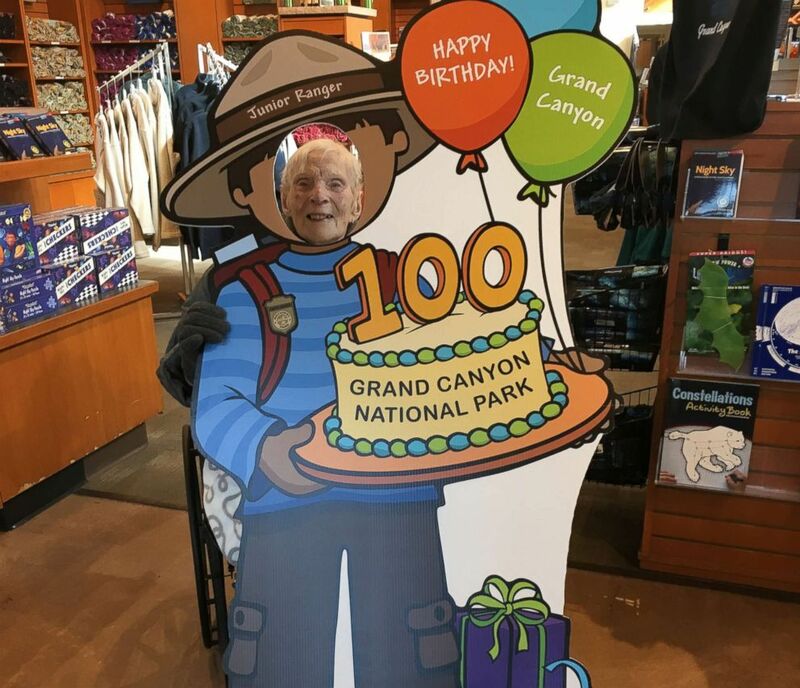 Rose Torphy was on a vacation at Grand Canyon National Park when she stopped in the park store. "I started talking to people about the junior ranger program because it teaches kids to protect the Canyon," she told "Good Morning America." "My parents taught me to care for the land but not all kids have that." On Feb. 26, 2019, the Grand Canyon celebrates 100 years since it's designation as a national park. The trip to the Grand Canyon was Torphy's second. The first was in 1985, she said, "when she was able to walk around." This time, she took in the sites in her wheelchair and was able to "go to the edge." (Courtesy Cheri Stoneburner) Rose Torphy was made a Junior Ranger for the South Rim of Grand Canyon National Park on Jan. 14, 2019. 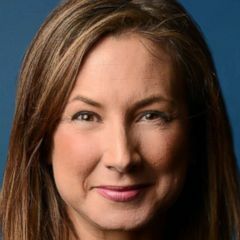 The junior ranger program at Grand Canyon National Park is "education programming," said Alysa Ojeda, marketing and public relations manager for Grand Canyon Conservancy, which funds the junior ranger program. Ojeda told "GMA" the Conservancy had to "get creative" with programming during the partial government shutdown which was going on during Torphy's visit in mid-January. 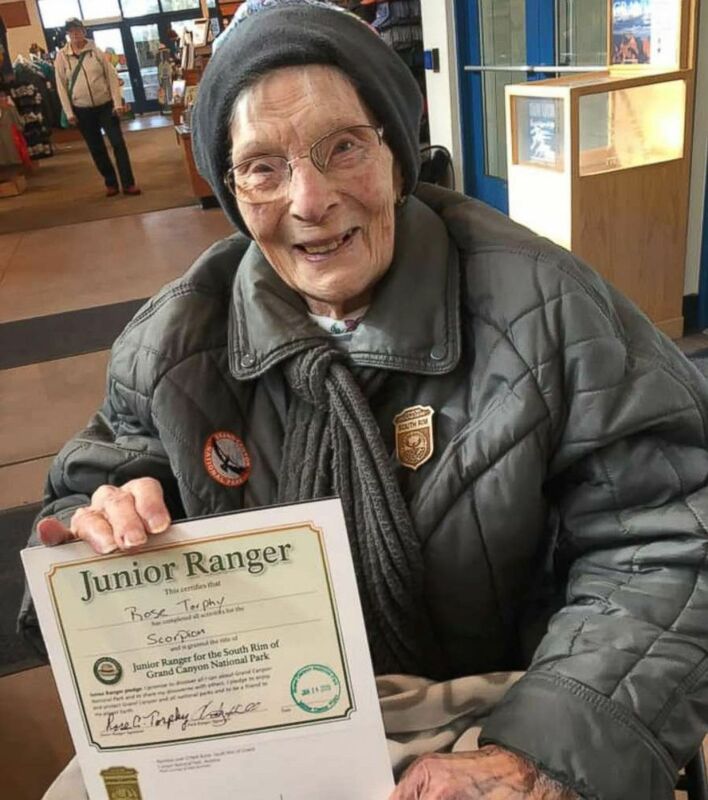 (Courtesy Cheri Stoneburner) Rose Torphy was named a Grand Canyon junior ranger at 103 years old. Store staff was trained to teach junior ranger hopefuls something new about the Grand Canyon and help them complete an activity book about the national park, Ojeda said. The junior rangers then promise to protect the Grand Canyon and become park stewards. 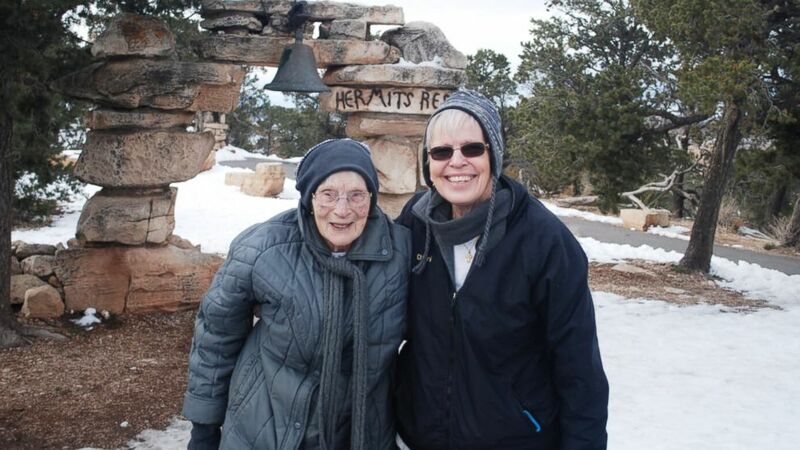 (Courtesy Cheri Stoneburner) 103-year-old Rose Torphy and her daughter Cheri Stoneburner pose for a photo at Grand Canyon National Park. "I'm happy to protect it for my great-children to visit one day," said Torphy, who's a mom of three, grandmother of nine, great-grandmother of 18 and great-great grandmother of 10. (Courtesy Cheri Stoneburner) Rose Torphy poses with five generations of her family. Top row: Jessica Pasco Holding Archer Pasco, Trisha Morgan, Lori Morgan, Rose Torphy, Nikki Fraught, Lisa Adamczyk, Cheri Stoneburner. Bottom row: Trinity Ullrich, Breanna Ullrich, Autumn Greer, Chase Kingery, Michelle Kingery, Cooper Kingery, Olivia Fraught, Jack Fraught. Cheri Stoneburner, Torphy's daughter, was with her on the visit and told "GMA" her mom has been wearing her junior ranger pin on her coat since they got back from the trip. "I was very impressed with the wheelchair access and ramps," Stoneburner said. "We were able to get to an edge where she had taken a photo with my dad on their visit in 1985," she said. "She's a spokesperson for the park now. Everywhere we go, people ask her about her junior ranger pin and she says 'you're never too old to see the Grand Canyon!" Stoneburner added.